Sharleen Spiteri was born in Glasgow, Scotland on November 7, 1967. When Spiteri’s relationship with Heath ended in 2005 due to what is reported to be his cheating on her, she believed that she was destined to live out the rest of her years alone, and so in finding Williams and now looking towards a future married to him, Spiteri is very happy. She has been reported as saying that her life is now “picture perfect”. The couple currently resides in London but spend regular weekends visiting Wales where Williams runs a restaurant, café and bar. Williams is looking to make a second investment in property in Wales. Bryn Williams, 39, is of Welsh descent and owns his own restaurant in London, Odette’s. Williams shot to fame when as a mere sous chef he competed against a number of well-known and established chefs for the honor of cooking the fish course for the Queen’s 80th birthday celebration. The competition was part of a television show Great British Menu, and much to the surprise of the both the audience and the other competitors Williams won. He is now considered to be one of Wales’ top chefs and has a growing reputation as being one of the best chefs in the UK. Williams began working at Odette’s when he was offered the position of head chef. At the time the restaurant had just undergone an extensive refurbishment and had a good reputation within the neighborhood. Williams bought out the owner and became the sole-chef proprietor of Odette’s in 2008. Paul McCartney’s two daughters Mary and Stella have offered to help Spiteri with the planning. As a busy rock star there isn’t much time available for all of the arrangements that need to be made to pull off a wedding, but with the help of her two friends it could certainly be done quickly and efficiently. One thing is for certain: there will not be a flouncy dress involved. As Spiteri is touring much of the planning and organization will be going on without her and she is okay with that. Once she returns from touring in December she will then help with the organization and planning ‘a little bit’ but for the most her celebrity friends will take care of her wedding event. When a bride-to-be is as busy as Spiteri is, it clearly helps to have friends who are able and willing to take care of things for her. Stella McCartney, world-renowned fashion designer will take care of the bridal gown but knows Spiteri’s preferences when it comes to fashion and will design accordingly. Stella’s sister, Mary, decided on the date so Williams and Spiteri didn’t even have to make that decision. 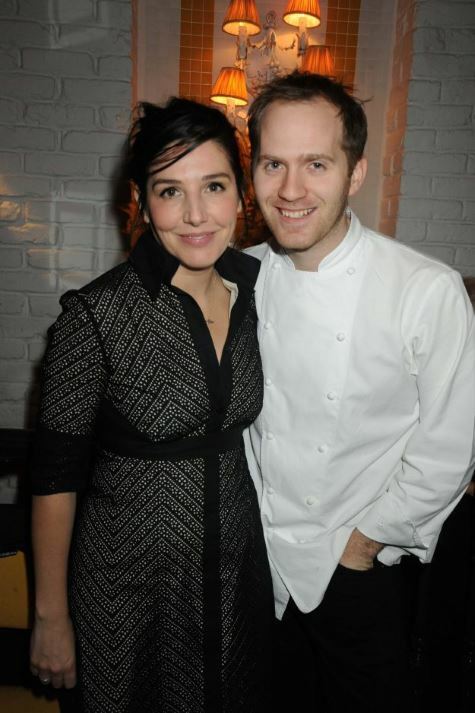 As to food, naturally that will fall to Spiteri’s chef husband-to-be as it is his forte after all. When asked about music Spiteri admitted that she had no idea at this stage but went as far as to say that whoever played at her wedding it would be “really good”. While Spiteri is definitely a busy woman, between her upcoming wedding and touring with Texas she still has time for ‘giving back’. Spiteri is a patron of the charity for children’s cancer CLIC Sargent. The charity provides supports for child cancer patients and their families across the UK, all the way from initial diagnosis to treatment and follow up care. They help families deal with the stresses of cancer.